Investors may finally be coming around when it comes to hedge funds, and it’s easy to see why. The Eurekahedge Hedge Fund Index climbed 0.89% in February. 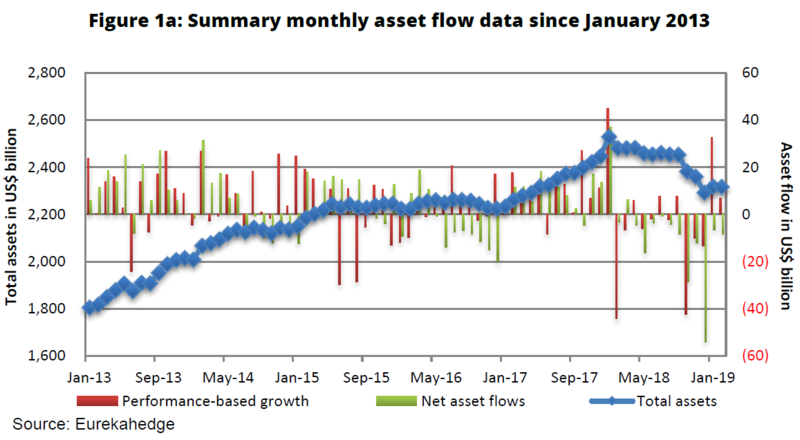 Although preliminary figures for the month suggest that investor outflows exceeded performance-driven gains in the month, final numbers for January indicate things are finally turning around. Long/ short equity funds in particular are having a banner year. 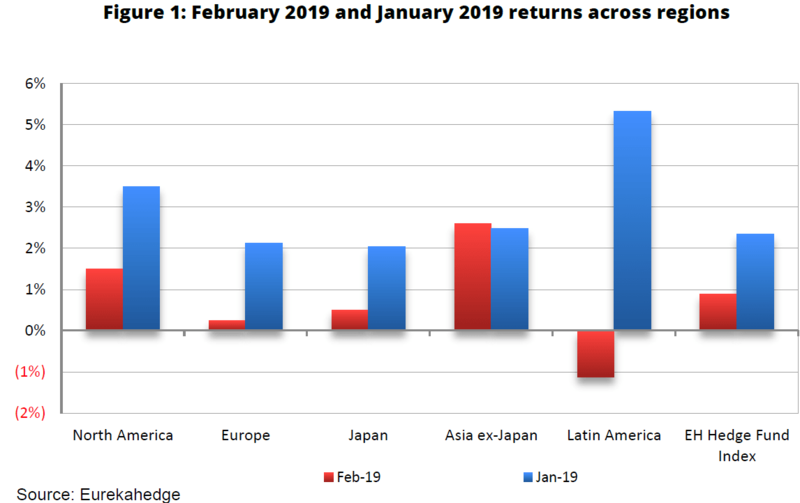 Nearly 66% of the hedge fund managers Eurekahedge follows posted positive returns again in February, marking a much-needed turnaround from the final months of 2018. The MSCI AC World Index climbed 3.03% during the month, supported by the U.S. Federal Reserve’s patience and wait-and-see approach to raising interest rates. Optimism about a resolution to the trade war between China and the U.S. also supported global equities in February. Outside the U.S., central banks are starting to highlight slowing economic growth and lower inflation as key concerns. Many of the world's central banks have slashed their growth forecasts for the short term, and as a result, bond yields have drifted lower. Final January data from Eurekahedge indicates performance-based gains of $32.8 billion for January, partially offset by $6.3 billion in investor redemptions. Preliminary February data indicates $6.7 billion in performance-driven gains and $8.3 billion in redemptions. Performance-based gains for the first two months of the year totaled $39.5 billion, driven by global equities. The global hedge fund industry saw its total assets under management climb 1.1% year to date through the end of last month, bringing the total to $2.3 trillion. Last year the industry lost 6.3% of its assets through performance-based losses and hefty investor redemptions. The best-performing strategy in February by far was long/ short equity, which racked up $4.9 billion in performance-based gains on the back of continuing strength in global equities. Even though long/ short equity funds did so well in February, investors continued to pull funds from them as the strategy saw the most redemptions of all strategies. Year to date, investor outflows from long/ short equity hedge funds total $9.4 billion through the end of February—the most of any fund strategy. All other strategies recorded performance-driven gains in February except for distressed debt, multi-strategy and "other." Looking at overall performance, all strategies were in the green last month, according to Eurekahedge. Long/ short equity funds were up 1.36% for February, and fund managers said long positions in consumer discretionary and technology stocks were among the key drivers of their strong returns in February. As far as geographic regions go, Latin America-focused funds were up the most in January, although they were in the red for February. Asia excluding Japan was the top-performing geography in February, followed by North America. North American funds led the way in the long/ short equity strategies during February. North America also dominated performance-based growth, but investor outflows also continued to pound away at funds focused on the region. Overall, North American funds saw net outflows of $3.5 billion after racking up $3.8 billion in performance-driven gains in February. Year to date, performance-based gains among North American funds have reached $27.4 billion, while investor redemptions in the region totaled $7.1 billion. European funds struggled under hefty redemptions during the month with $3.2 billion in net outflows and $800 million in performance-based gains. Total assets in European hedge funds shrunk to $499.4 billion in February.